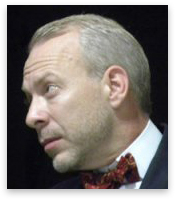 Today Ben talks to Jeffrey Tucker about Bitcoins, bubbles, deflation, open source, and using the market to defeat the State. This entry was posted in All Podcasts, Bad Quaker Theology, Economics, Free Society, History, Property, Voluntaryism and Competitive Government, Voluntaryism and Social Interactions and tagged aggressive government, anarchism, anarchy, Bitcoins, black market, capitalism, collectivism, confiscation, free market, free society, freedom, Jeffrey Tucker, Laissez Faire Books, libertarians, liberty, militarization, obedience, police state, political authority, power corrupts, property, question authority, radical, revolution, socialism, socialists, society, society without government, State collapse, State fails, violence, war, zero aggression principle. Bookmark the permalink. When I spend a bitcoin, I expect to forego appreciation, so I don’t spend it, and when I don’t spend it, it doesn’t circulate, so others can’t spend it either, and when others can’t spend it, people who want to use bitcoins as money pay more to obtain them, so the rate of appreciation increases, and more people expect more appreciation and thus decide not to spend their bitcoins, and so on, until hardly anyone is actually spending bitcoins anymore, whereupon the bubble bursts. I’m very much a crypto-anarchist myself, and I have no ideological ax to grind against bitcoin, but that logic makes perfect to sense, and I expected the bubble to burst for this reason, not because I pretend to know the ultimate value of bitcoin vs. the dollar as a medium of exchange. I don’t pretend to know the ultimate value of bitcoin, but if I see the price of a bitcoin in dollars rise a hundred percent in a week again, without any commensurate collapse of the value of the dollar (measured by the price of gasoline for example), and if I also see a spike in a statistic like Bitcoin Days Destroyed (indicating a sharp fall in the volume of circulating bitcoins), then I’ll expect another burst soon thereafter, because when people hold bitcoins, they aren’t using bitcoins as money, and bitcoins have value only because people use them as money. People free to use any good they like as money don’t use a good that depreciates relative to another good that they could use as money. If I expect bitcoins to appreciate faster than dollars, I’ll hold the bitcoins and spend the dollars. Won’t I? I want to hold things that appreciate and trade things that don’t, and so does everyone else, and money is thing we accept in trade only then to trade it for something else. Free people want money that doesn’t appreciate very much. What’s wrong with this logic? Correction: People free to use any good they like as money don’t use a good that !appreciates! relative to another good that they could use as money.